Ever since Selena Gomez's new video debuted, there have been plenty of questions. One of the main things on everybody's minds is whether "The Heart Wants What It Wants" is about Justin Bieber. This seems super likely, although Bieber himself may have missed the point since he said it was "beautiful." (Yes, it is. But that may not be the right adjective to use if the song is about him...) Anyway, another major question: Who is that guy in the video and is he single? Another Bustle writer already tackled that topic (and it seems to be good news! ), but there's another thing I'm curious about. 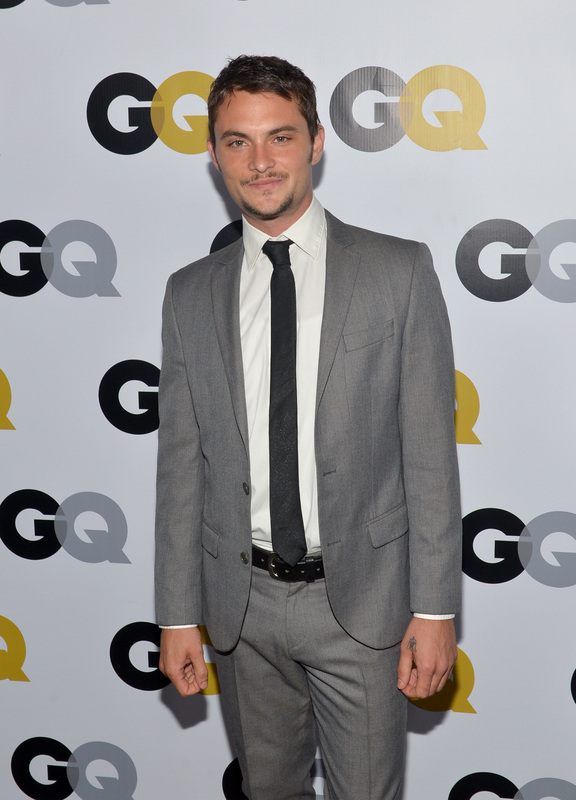 Shiloh Fernandez may be a Bieber-esque character in the music video, but how much is he actually like the Canadian pop star? More good news: They're very different. I think it's important to separate the two, since sometimes people get typecast as the characters they play on screen. Remember what happened to Ariana Grande and how she was sick of being Cat Valentine? This isn't exactly the same, but basically, it's good to differentiate between who Fernandez is in Gomez's song, versus the type of respectable actor he is IRL. He may have even made Biebs a bit worried that he could replace him, since Gomez told Ryan Seacrest, "I think he was a little jealous of the video guy at first." Hmm, very interesting. Is Fernandez the next Bieber? Probably not. But let's investigate by breaking down the differences between these guys. He starred in the thriller White Bird in a Blizzard with Shailene Woodley, which premiered at Sundance in January 2014. In addition to films, he's appeared on TV shows like Gossip Girl and CSI: NY. Remember his blockbuster hit, Never Say Never ? Then there was his follow-up movie Believe. Well, sure these were major box office successes, but it didn't require much actual acting. Cameras just followed him around on tour. Appearing in the "The Heart Wants What It Wants" video wasn't his only time working with Gomez. He also filmed a short film with her in 2013 to accompany an interview she did with Flaunt magazine. Do I even need to recap this? I mean, Gomez's music video itself says enough. But there are plenty of times the two dated, broke it off, got back together, repeat. Gomez is the one who shared a photo of herself with Fernandez. Not the opposite way around (aka how Bieber always sneakily posted pictures of himself with Gomez). Her Insta shows the first time they worked together, along with a screenshot of their current video. It's like a #TBT, just not on Thursday. LOL, where do we start? There were so many times he posted photos with Gomez and then deleted them. Like, do you think she really wanted him to share any intimate black-and-white photo they've taken? Doubt it. Fernandez has some nice scruff, but keeps it under control. It accentuates his look instead of ruining it. Plus, it's so great he wears suits, instead of parading around shirtless all the time. A+ for personal style! Don't even get me started on Bieber beard-gate from earlier this year. Still having bad flashbacks of that awful 'stache. If you need to refresh your memory, click here (if you dare). Keep these two straight, alright?